This award is open to any clinic group with 10 clinics or more in the UK and Ireland. The group will be judged as a whole on commitment to excellence in customer service, patient care and patient safety and evidence of good feedback from customers/patients. There will be no voting process and the winner will be decided by the judging panel. Courthouse Clinics have been providing specialist aesthetic and wellbeing treatments at various locations throughout the UK since 1998. We now have 11 locations, in Birmingham, Brentwood, Esher, Haywards Heath, Hereford, London, Maidenhead, Sheffield, Southampton, Watford and Wilmslow. In 2017 we treated 56,804 patients. Courthouse Clinics offers an extensive range of advanced anti-ageing treatments and procedures for the face and body. 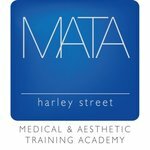 These include anti-ageing injections, facial and lip fillers, Profhilo, Laser Hair Removal, body contouring, skin rejuvenation, Chemical Peels, Thread Lifts, Fat Freezing, VASER Lipo and Ultrasound Guided Foam Sclerotherapy. We regularly update our portfolio, and strive continually to adopt the most innovative technology and results-driven techniques, to achieve the best possible treatment outcomes. More specifically, in recent years we have enhanced our offer with a selection of wellbeing treatments, including Bio-Identical Hormone Replacement Therapy, Vitamin IV Infusions, the ProLon® Fasting Mimicking Diet, FemiLift and Earfold®. Only fully qualified and experienced doctors, Advanced Nurse Practitioners and medical aestheticians perform our procedures – the majority of which are non-invasive and incur minimal downtime and discomfort. We tirelessly research and invest in new equipment and protocols, in order to offer the latest and most effective treatments. Staff training and Continuing Professional Development is a key priority, as is customer satisfaction. At Courthouse Clinics we consider every single patient as an individual, creating a bespoke treatment plan and aftercare package that is specifically tailored to each client’s needs. We firmly believe that every patient that comes to Courthouse Clinics should be ‘WOWED’. sk:n’s heritage dates back to 1990 when it was founded in Harrogate in a private clinic. Initially specialising in port wine stain birthmark removal, sk:n invested in the highest grade medical lasers on the market and operated in partnership with the NHS. Before long, sk:n doctors were treating NHS patients for broader dermatological needs and an ongoing partnership emerged. A stand-alone clinic was opened in Birmingham City Hospital in 1993, followed by a private clinic on Harley Street the same year. sk:n has the largest network of skin clinics in the UK with more than 450,000 clients and delivering 23,000 treatments per month. sk:n will soon be opening its 50th clinic and is proud to be home to more leading consultant dermatologists, doctors, plastic surgeons, nurses and therapists than any other dermatology service provider. We offer more than 200 clinically proven, affordable and innovative treatments and products for a wide variety of conditions. From rejuvenation treatments like skin peels and anti-ageing injectables, to dermatology procedures such as laser resurfacing, birthmark removal and acne/acne-scarring treatments, performed by leading UK dermatologists. We have more UK-wide branches and longer, more-accessible opening hours than any other group of clinics. We understand that living with poor skin or a skin condition can be demoralising or even devastating. We are determined to help: we offer free skin analysis and free consultations with doctors for rejuvenation treatments, and with nurses/therapists for treatments; no GP referral necessary. The Private Clinic (TPC) is a multi-award-winning Cosmetic Surgery provider with over 34 years’ experience in Medical Cosmetic treatments. We specialise in Cosmetic Surgery, Body Contouring & Liposuction, Hair Transplants, Varicose Vein and Rejuvenation & Dermatology. TPC mission has not changed and “is to achieve the highest standards of quality of care and to do that we put patients’ safety, medical expertise and patients’ satisfaction at the core of what we do – always! 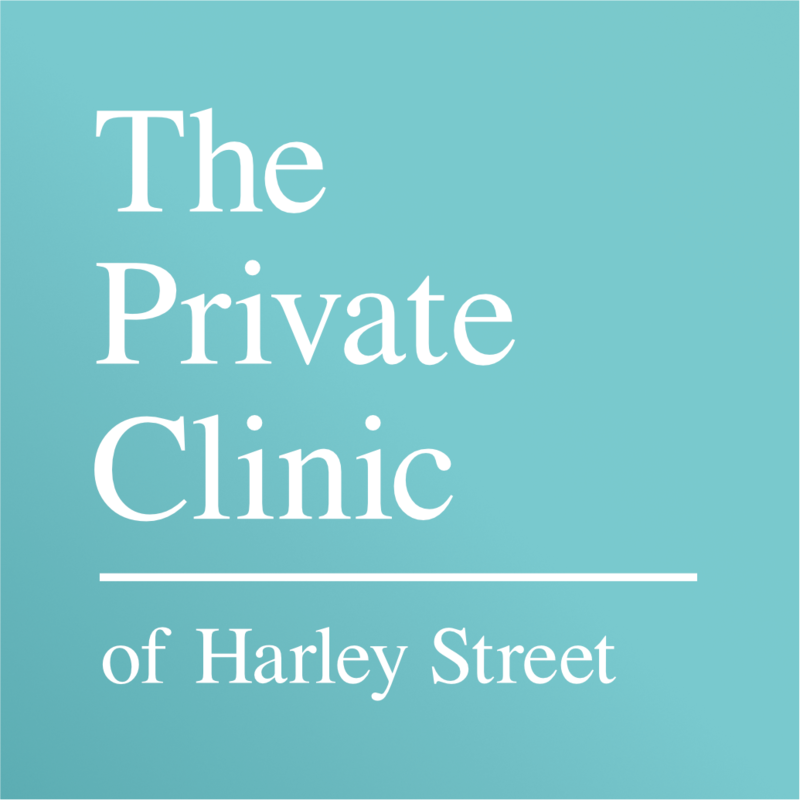 ” Since 2008 the Company has expanded from one clinic on Harley Street to twelve major clinics nationwide, with three clinics in London plus clinics in Glasgow, Leeds, Manchester, Birmingham, Bristol , Buckinghamshire, Bournemouth, Chelmsford and Northampton and consultation rooms across the UK. We have 55 surgeons working with TPC, each one an expert in their field of specialisation. We research and strive for the most advanced techniques and the least invasive methods, with the goal to reduce the risks and recovery time for our patients. We have recently introduced Venaseal for varicose vein removal for needle phobic patients an alternative to the Gold standard EVLA and a new area for TPC in the advanced treatment for Bunions to improve pain and the aesthetic look of the foot. We have one of the highest patient satisfaction rates in the industry with a 5 star Trust Pilot rating, along with 97% (previous rating of 93%) of our patients are happy to recommend us to friends and family. We see over 15,000 new patient’s pa and perform over 10,000 procedures. National Slimming and Cosmetic Clinics are celebrating 34 years of slimming success. With 27 clinics across the UK, we offer medically supervised slimming and a variety of cosmetic treatments in England, Scotland and Wales. We ensure complete confidentiality together with excellent patient service and follow-up care at all times. National Slimming and Cosmetic Clinics offer a comprehensive range of advanced, non-surgical treatments to reduce the signs of ageing for women and men. At our clinics you can benefit from some of the most advanced technology available today, including upper and lower Botulinum toxin, dermal fillers (non-surgical nose jobs and Tear Trough), laser hair removal using the Soprano®XL machine, 8-point face lifts, as well as hyperhidrosis, thread lift, dermaroller, facial peels and microdermabrasions. We have recently launched The Perfect Peel, Non-Surgical Nose Job, Thread Lifts, Tear Trough, PRX Peel and Profhilo. All our clinics are registered with the CQC which gives you the peace of mind that we are regularly inspected by a governing body to ensure high standards of patient care. We are constantly evolving our treatments at NSC Clinics and regularly attend training seminars or host our own with all of our main cosmetic suppliers. These include suppliers such as Allergan to update our injectors on techniques and methods, as well as SkinBrands to ensure we offer the latest medical and cosmeceutical skincare ranges on the market. Established in 1983, The Harley Medical Group (THMG) is one of the UK’s leading providers of Cosmetic Surgery and Laser & Skin treatments. The group has 18 clinics locations across the UK, including London (Harley Street, Chiswick, Wimbledon) Watford, Marlow, Birmingham, Leeds, Brighton, Bristol, Manchester, Nottingham, Southampton, Cardiff, Chelmsford, Northampton, Maidstone, Liverpool and our newest clinic in Liverpool Street, London. The Group is fully committed to offering the most comprehensive range of surgical and non-invasive treatments, including Breast Enlargement and Reduction, Face surgery, Laser Hair Removal, Skin Peels, ProMax Lipo and treatments for Stretch Marks and Scars. All clinics are registered with The Care Quality Commission (CQC) or The Healthcare Inspectorate Wales (HIW) and all surgeons are registered with The General Medical Council (GMC). A dedicated team of nurses, surgeons, and aesthetic doctors along with their commitment to each client is one of the Group’s greatest assets. The Group’s number one goal is to look after all clients, offering the highest standards of care always. THMG always puts client care at the forefront and this is why they are unique in the Aesthetics Industry. Providing consultations and care via a team led by Specially Trained Cosmetic Surgery Nurses, Doctors and highly skilled Specialist Registered Cosmetic Plastic Surgery Surgeons. THMG is proud to offer fully comprehensive and inclusive aftercare for both surgical procedures and our treatments, so clients can be reassured they will always be in the very best experienced medical hands. THMG consults and treats over 45,000 clients each year. From our small beginnings in 2001 with just one operation in the heart of Dublin, Therapie Clinic has matured into a provider with 21 clinics scattered across Ireland, the UK and India. But our expansion over the past 17 years has not come at a cost to our clients who remain at the heart of everything we do. We offer a comprehensive range of treatments including pain-free laser hair removal, anti-wrinkle injections, dermal fillers, body sculpting and advanced skin treatments. Over the past year alone, we have provided an estimated two and a half million treatments to our client base of 500,000. We employ more than 400 staff including doctors, nurse prescribers and aesthetic therapists. While our growth has been significant, we are mindful of preserving our reputation for excellence of service to each individual client. We have recently appointed a Medical Director, Dr Paul Reddy, whose primary focus will be on delivery of quality care, safety and client satisfaction. From the beginning, we have aspired to making our results-driven treatments accessible to all. We understand the emotional and psychological benefits of looking good. After all, we live in an image-conscious world. Therapie Clinic has established our in-house training academy – ‘Centre of Excellence’ – where all our therapists undergo comprehensive training to not just meet our clients’ expectations but to exceed them. Transform are one of the UK’s leading providers of Cosmetic surgery procedures and non-surgical treatments providing over 6,000 treatments per year within our network of 22 UK based clinics and specialist hospitals. 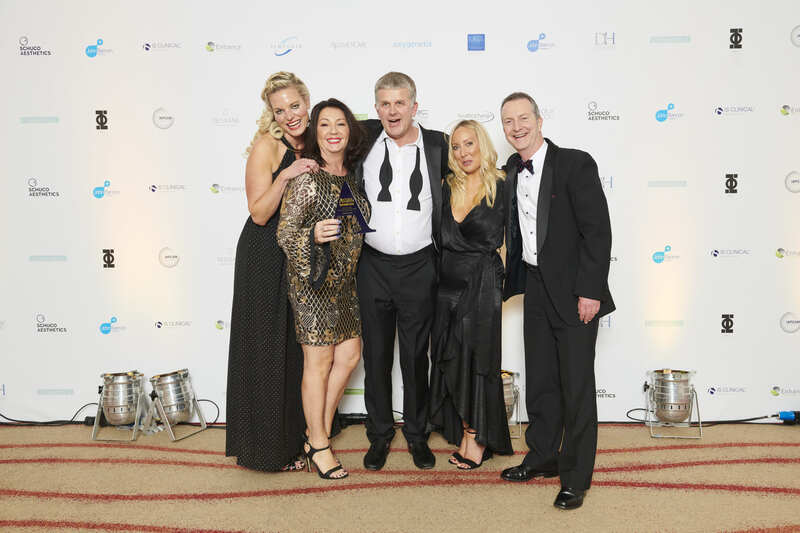 Transform are owned by Aurelius Investments who also own our sister company The Hospital Group, another leading provider of Cosmetic, Bariatric and Non-Surgical Treatments in the UK. The Transform brand was originally established in 1974 by Paul Braddon specialising in hair restoration treatments. By 1983 Transform had begun to carry out their very first breast augmentations and at that time were performing around 100 operations per month however less than 5 years later the procedure catalogue had widened further with the introduction of Breast Reductions, Blepharoplasty and Rhinoplasty surgeries. Around the same time the Non-Surgical area of the business was launched with procedures such as Laser Hair Removal, Microdermabrasion followed soon after with a range of injectables that are still very popular today. We launched our first Patient Information Charter in 2011 which included 15 promises relating to patient care that Transform were committed to delivering. The commitments covered all sorts of areas, from being transparent on infection rates and surgeon experience, down to the results of independent inspections of the hospitals and respecting an ethical marketing strategy. This charter was reinforced in 2013 by the Transform Code of Conduct which promises to only use real patients throughout our marketing material, something that has remained an important part of our strategy to the present day.